Note: This only changes the envelope recipient so the original To e-mail address will still be visible to the user. 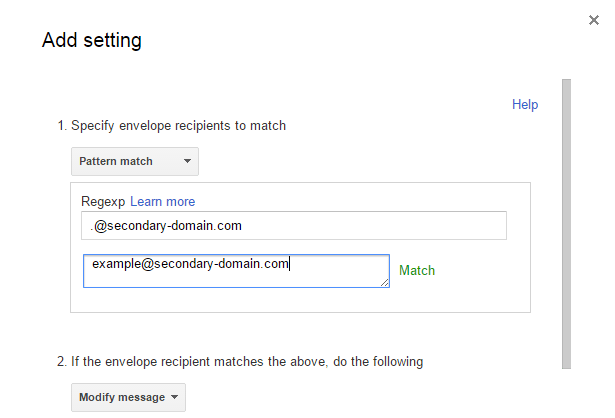 This is good because if you want to create filters based on certain addresses. For example, for can create a unique address for every new service you register for – this makes it easier to determine where you are getting spam from and potentially figure out who is leaking your personal information no matter if it is intentional or accidental. 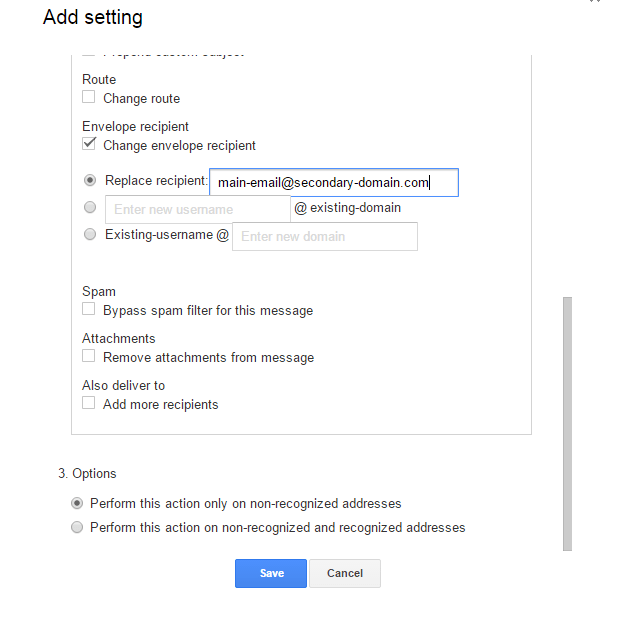 Under section 3 (options) I selected ‘Perform this action only on non-recognized addresses’ – either of the options will work but I guess it makes more sense to choose the first. Done! Click Save and test the rule. Update 07/01/2016 : Thanks @Alex (comments) for a more refined regex. Adding $ to the end of the regex means a match will be found at the end of the string. I was searching for a solution for days! Thank you man this is working very well! The initial . isn’t necessary (as the regex isn’t anchored) and the $ means that it will only match the domain at the end. 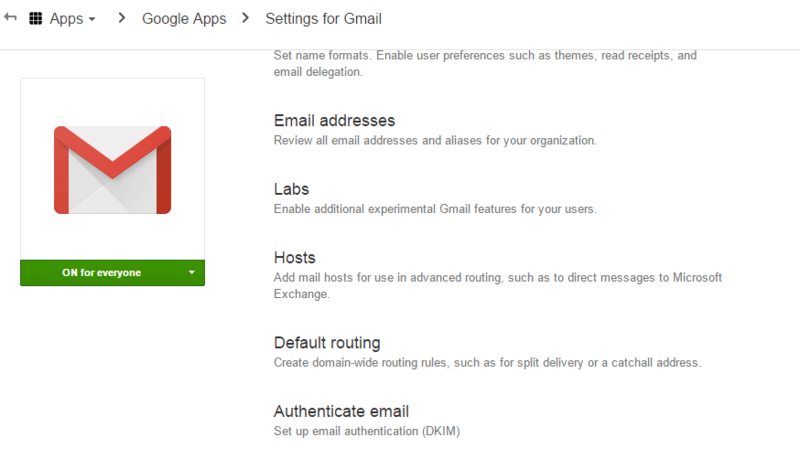 It probably doesn’t matter, but depends how far you want to push valid email addresses against the RFC. is a valid email address (though why you’d ever see that, I don’t know – I did say it probably doesn’t matter for a reason) which would match your expression without the $. Will update the post with this.